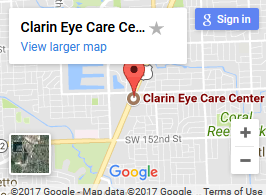 At Clarin Eye Care, we’re proud to offer our patients the latest technology in eye care. We’ve recently begun offering a comprehensive iWellnessExam which allows our doctors to maintain the health of your eyes like never before. For the first time, we can detect sight-threatening diseases such as glaucoma, macular degeneration and diabetic retinopathy earlier than with traditional eye exams. Ask our office today about the iWellnessExam – and ensure your vision lasts a lifetime. Clarin Eye Care is proud to announce the inclusion of the iWellnessExam as an important part of our complete eye examination. 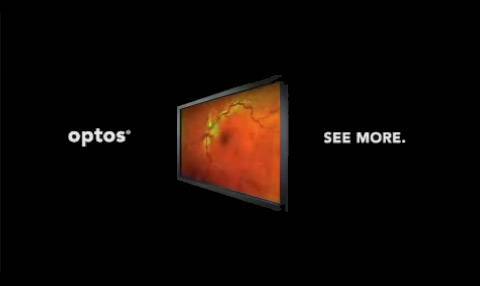 Similar to an MRI or CT scan for the eye, the iWellnessExam uses the SD-OCT to produce cross sectional images of the retinal layers – which is sensitive area of the back of your eye – in a matter of seconds. Many eye problems can develop without warning and progress without symptoms. In early stages, you may not even notice a change in your vision. 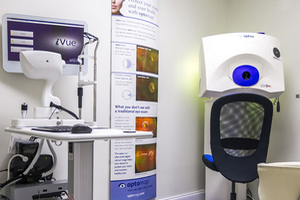 But sight threatening conditions and diseases such as macular degeneration, glaucoma, diabetic retinopathy and others can be detected with a thorough exam of the retina, including the iWellnessExam. 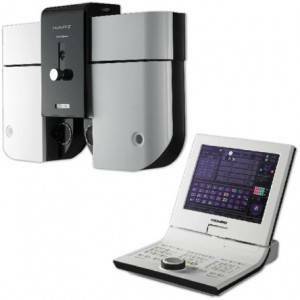 The opportunity for you to view and discuss your iWellnessExam scan reports with your doctor at the time of your exam. A permanent record for your file, which allows the doctor to compare your iWellnessExam scan reports each year to look for changes. The iWellnessExam is fast, easy, and comfortable for patients of all ages and provides your doctor with valuable information about the health of your most precious gift – your sight. 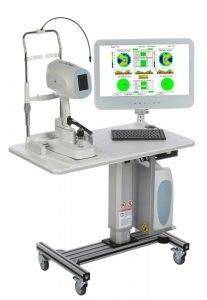 Our doctors also use the latest technology to determine your eyeglass and contact lens prescription. Through digital refraction, rather than manually flipping the lenses back and forth, we have more options to test your vision and can make the entire process easier for you. With the ability to fine-tune the numbers with ever greater accuracy, we can ensure our patients leave with the correct prescription nearly every time.